[S11] Alison Weir, Britain's Royal Families: The Complete Genealogy (London, U.K.: The Bodley Head, 1999), page 273. Hereinafter cited as Britain's Royal Families. 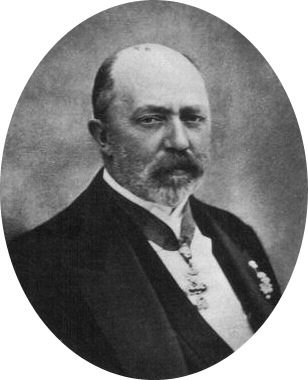 Auguste Ferdinande Erzherzogin von Österreich was born on 1 April 1825. 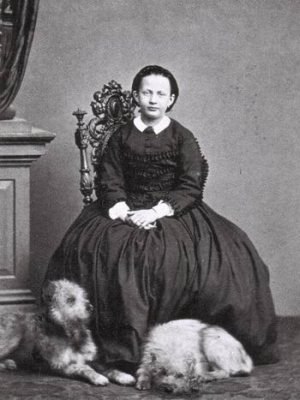 She was the daughter of Leopoldo II Erzherzog von Österreich Granduca di Toscana and Marie Anne Karoline Prinzessin von Sachsen.1 She married Luitpold Prinz von Bayern, son of Ludwig I König von Bayern and Therese Charlotte Luise Prinzessin von Sachsen-Hildburghausen, on 15 April 1844. She died on 26 April 1864 at age 39. She gained the title of Principessa Augusta di Toscana. [S12] C. Arnold McNaughton, The Book of Kings: A Royal Genealogy, in 3 volumes (London, U.K.: Garnstone Press, 1973), volume 1, page 390. Hereinafter cited as The Book of Kings. [S12] C. Arnold McNaughton, The Book of Kings, volume 1, page 467. [S45] Marcellus Donald R. von Redlich, Pedigrees of Emperor Charlemagne, I, page 36. Generaloberst Franz Joseph Arnulf Adalbert Maria Prinz von Bayern was born on 6 August 1852 at Munich, Bavaria, Germany. 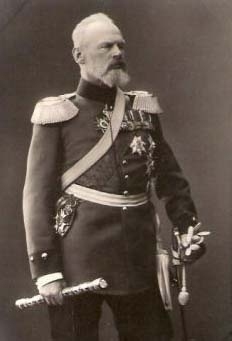 He was the son of Luitpold Prinz von Bayern and Auguste Ferdinande Erzherzogin von Österreich. He married Therese Prinzessin von und zu Liechtenstein, daughter of Aloise II Fürst von Liechtenstein and Frances Kinsky, on 12 April 1882 at Vienna, AustriaG. He died on 12 November 1907 at age 55 at Venice, ItalyG. [S16] Louda and MacLagan, Lines of Succession, table 55. 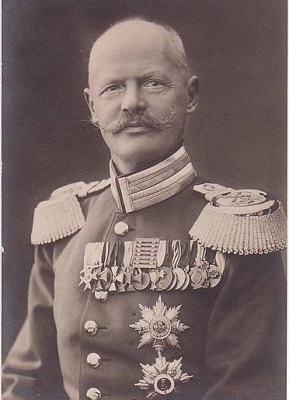 Luitpold Prinz von Bayern was born on 8 May 1901 at Bamberg, Hessen, GermanyG.1 He was the son of Rupprecht Kronprinz von Bayern and Marie Gabrielle Herzogin in Bayern. He died on 27 August 1914 at age 13 at Berchtesgaden, Bayern, GermanyG.1 He was also reported to have died on 27 August 1915. [S12] C. Arnold McNaughton, The Book of Kings: A Royal Genealogy, in 3 volumes (London, U.K.: Garnstone Press, 1973), volume 1, page 470. Hereinafter cited as The Book of Kings. [S12] C. Arnold McNaughton, The Book of Kings: A Royal Genealogy, in 3 volumes (London, U.K.: Garnstone Press, 1973), volume 1, page 108. Hereinafter cited as The Book of Kings. [S12] C. Arnold McNaughton, The Book of Kings, volume 1, page 421. [S16] Jirí Louda and Michael MacLagan, Lines of Succession: Heraldry of the Royal Families of Europe, 2nd edition (London, U.K.: Little, Brown and Company, 1999), table 39. Hereinafter cited as Lines of Succession. [S12] C. Arnold McNaughton, The Book of Kings, volume 1, page 283. [S12] C. Arnold McNaughton, The Book of Kings, volume 1, page 448. [S12] C. Arnold McNaughton, The Book of Kings, volume 1, page 449. [S12] C. Arnold McNaughton, The Book of Kings, volume 1, page 360.